We are one of the renowned manufacturers of a premium quality range of Material Handling Conveyor. In this range, we offer belt conveyors in various models and technical specifications. Belt conveyors that we bring forth for our clients are reckoned for their longer service life, and find widespread application in modern material handling systems. The flat belt conveyors and pocket belt conveyors made available by us are known for their robust construction. We are known in the industry for manufacturing high grade quality Conveyors for Material Handling Industry, wide range of conveyors are designed and manufactured by us suiting to the needs of the customers. These belt conveyors are manufactured incorporating latest technology, and are appreciated by the clients for their longer functional life and low maintenance levels. We are known in the industry for manufacturing high grade quality Bulk Material Handling Conveyor, which is widely appreciated for its quality synthetic fibers. Belt conveyors made available in this range are extensively utilized in the rubber industry. Used mostly for medium, long-distance and heavy-load transportation of materials, these belt conveyors are known to deliver highly reliable performance. Widely used for sorting, grading and inspection of various materials, Sorting Conveyors are used by many industries to upgrade their system. 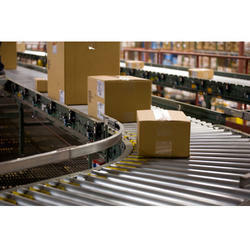 We manufacture and supply sorting belt conveyors to a wide array of our clients. The conveyor belt is made from PVC food grade material with stable design for fixed slow conveying speed. 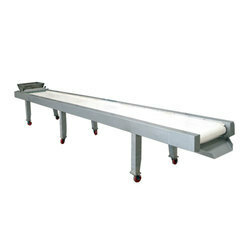 Highly durable and efficient, these strong quality conveyors can be availed at market leading rates. 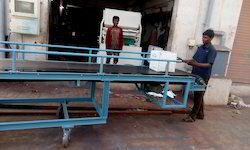 We bring forth a wide range of Chain Conveyor System for our valuable clients. These Chain conveyor systems as developed as per the international quality norms & standards. 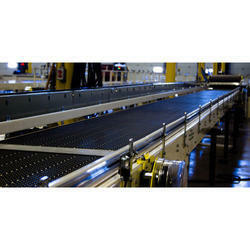 Our offered conveyors utilize a motorized unremitting chain arrangement, carrying a series of single pendants. 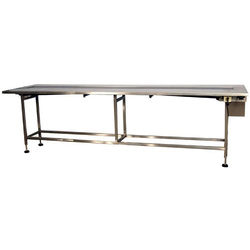 Widely applicable in various industrial sectors, these conveyors are used for conveying or transporting products or material from one unit to another. 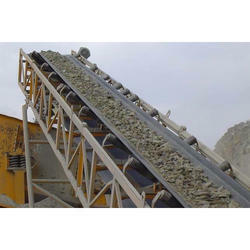 We bring forth Drag Conveyor that finds major application in various bulk material handling applications, to transfer bulk materials from one process to another. Perfect for handling free-flowing and dry materials, these conveyors need less horsepower than the other conveyors. 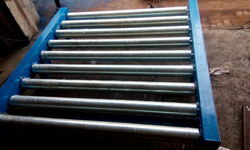 Owing to the minimal product degradation and high torque drive units, drag conveyors are widely used in the industries. We are one of the renowned manufacturers of a premium quality range of Material Handling Conveyor. In this range, we offer belt conveyors in various models and technical specifications. Belt conveyors that we bring forth for our clients are reckoned for their longer service life, and find widespread application in modern material handling systems. We are the prominent manufacturer and supplier of Box Transfer Conveyor designed and manufactured using the latest technology. Widely used in Packing,Corrugated plants for carrying the box from stamping machine to the godown, these Box TYransfer conveyors can also be used to transfer raw materials from godown to the main plant. Our clients can avail these efficient conveyors at market leading rates. 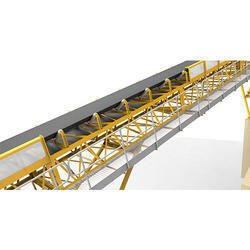 Looking for Material Handling Conveyor ?